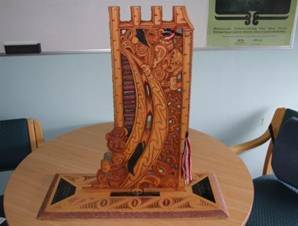 In 1993, Northcote Library established a local competition as part of Māori Language Week. 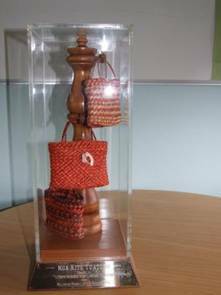 The success of the competition encouraged the N Strategy Bicultural Actions Group to make this a national event. 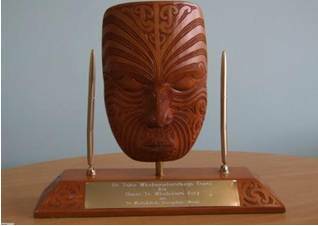 At the time, the Bicultural Special Interest Group of the New Zealand Library & Information Association continued to run the competition. These competitions were discontinued as other National Competitions gained strength and popularity. 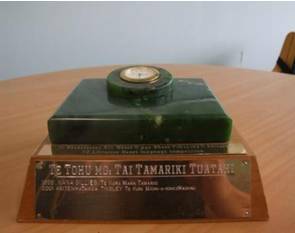 In 2006, it was agreed by Ngā Kaiwhakahau that these taonga would be repurposed and awarded on an annual basis to recognise literary achievement as part of Te Kura Pounamu. 2015 was the last year for these taonga to be part of the awards.